[https://www.flickr.com/photos/[email protected]] Well done. Looks like I need to get up early even in the holidays. 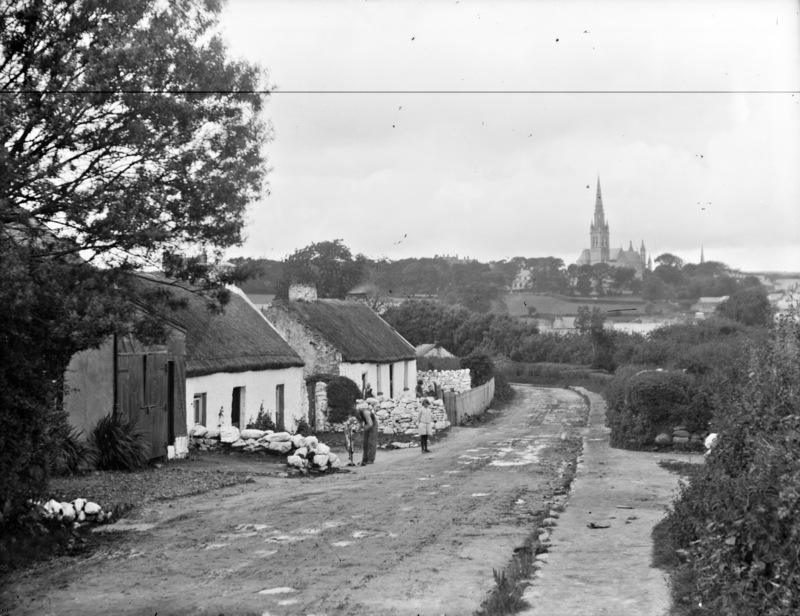 Another similar photo from the Eason collection; I think it is earlier, see extra tree and unwhitewashed walls - catalogue.nli.ie/Record/vtls000556917 It's also winter and the cathedral looks complete. Therefore today's photo is a few years later than 1901 ? No sign of the railway below the Cathedral. Oldtown station opened on 09.03.1903, and closed 06.01.1947. [https://www.flickr.com/photos/beachcomberaustralia] With regard to you final comment there it is not a winter scene! The child is out in a pinny, the old man is in his shirt sleeves, there are leaves on the trees and there is no sign of rain so it is the one day of summer that year! I knew the picture reminded me of something. Is the thatched cottage the private house of a qualified doctor? Thanks [https://www.flickr.com/photos/[email protected]]/all. Have updated the map/tags/etc!